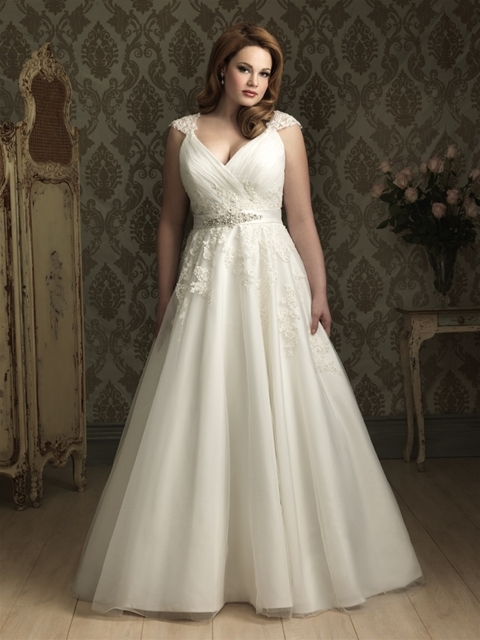 My friend recently asked me to find gowns for plus size brides. I honestly never thought about plus size bridal gowns. Working in the fashion industry where all the sample sizes are 2 or 4, you tend to forget that not everyone wears sample sizes, including myself. I decided to research and see what is in the market. Ladies, the search was difficult. The selection for fashion forward gowns for plus sizes were rare. Some of the gowns were so simple and boring that I became frustrated. If I had to go out and know that these simples dresses were my only option, I would have to find a seamstress. 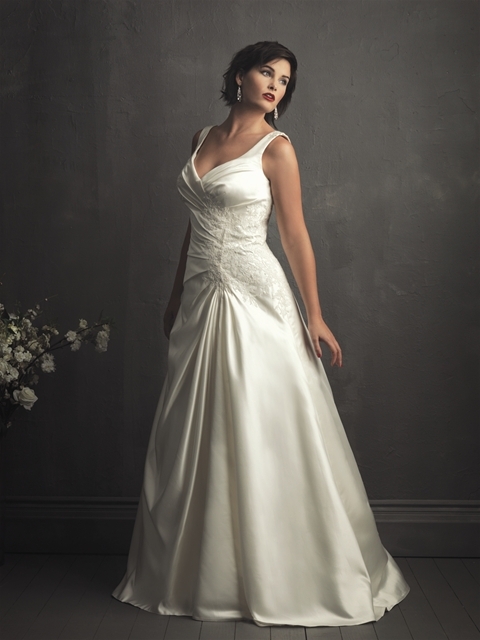 Search and you shall find……I found some beautiful gowns that would make a bride feel like Miss America. You know I love a cute sash or belt…..
Allure Women’s Bridal Collection is great for the minimalistic bride. You can still be simple but chic. I really love the lace detail on this dress. The button details are beautiful on this gown. I saved the best for last. Designer Mori Lee’s Julietta collection is right on trend. The pink wedding dress below shows all the curve with an attitude. (2 finger snap) The silhouettes in her collection are flattering for all body types.